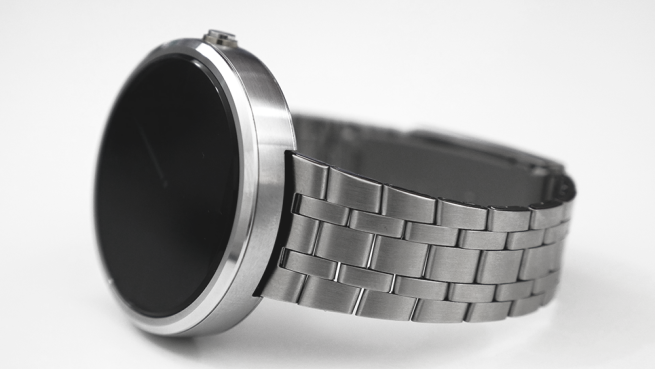 The original steel band that is included with the Pebble Steel can actually be used on the Moto 360. This is great because the band is only $19.99 and can be found on Amazon with Prime shipping or even picked up at your local Best Buy store. 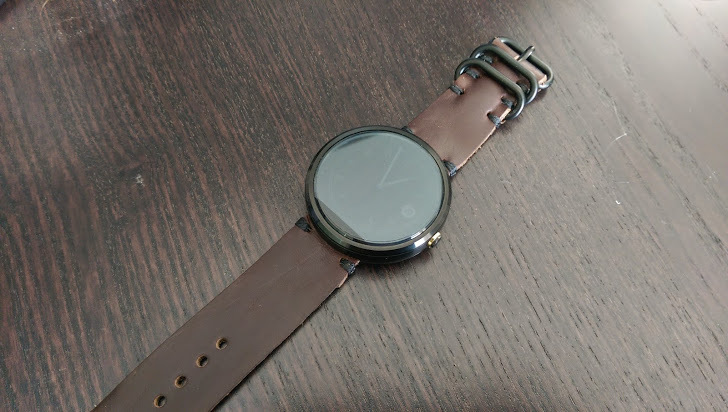 This is a highly recommended Moto 360 band which is cheap for the price and they are available in Black, Stainless Steel Silver, along with mesh and gold options as well. Starting at only $29.99 with free prime shipping. 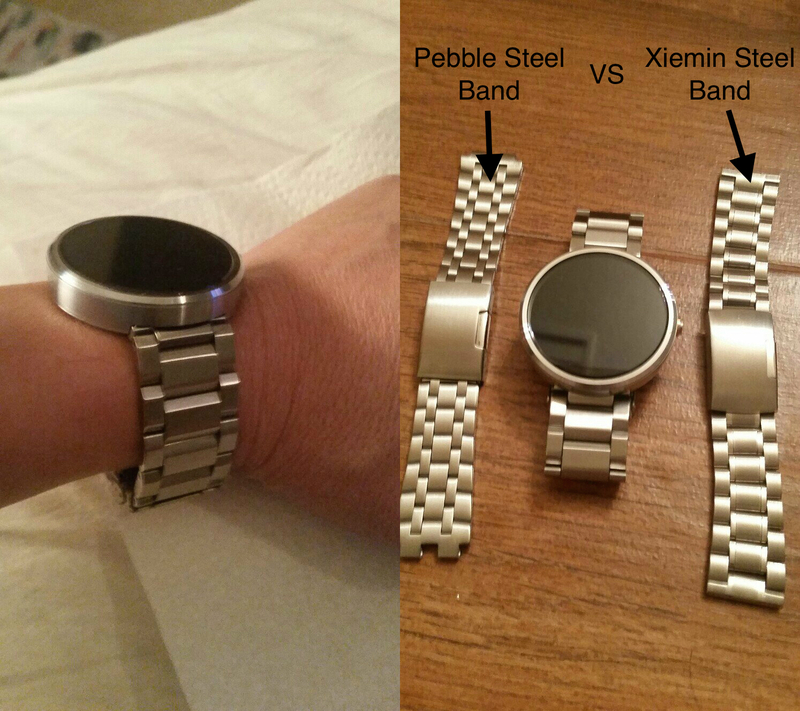 Here we see a Silver Stainless version of the Xiemin Band and you can see on the right a comparison alongside the Pebble Steel stainless band. It looks like the Xiemin band is thicker than the Pebble one. 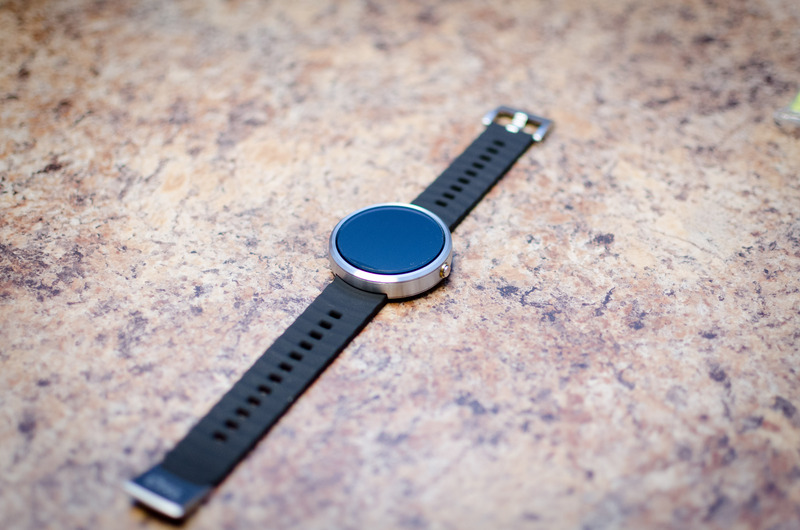 This is a silicone band available through Motorola.com for $29.95. 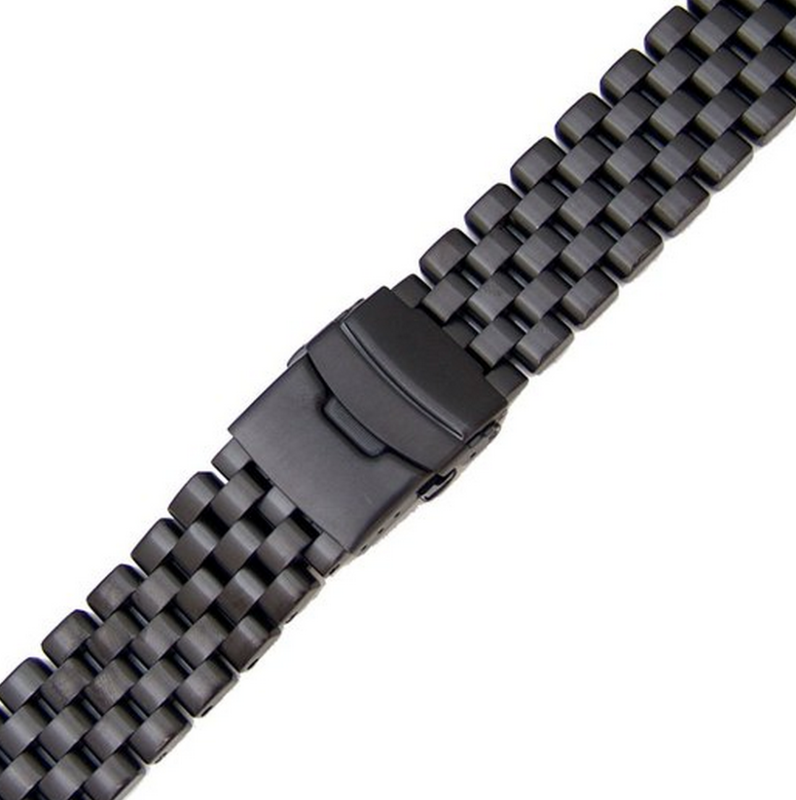 The clasp on the end attaches to the band itself so it stays attached and you don't have to put it through a loop. 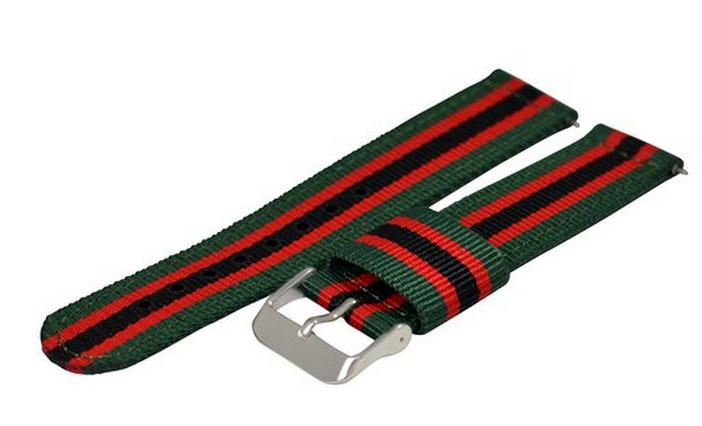 However, the clasp is a little tough to feed through the buckle. 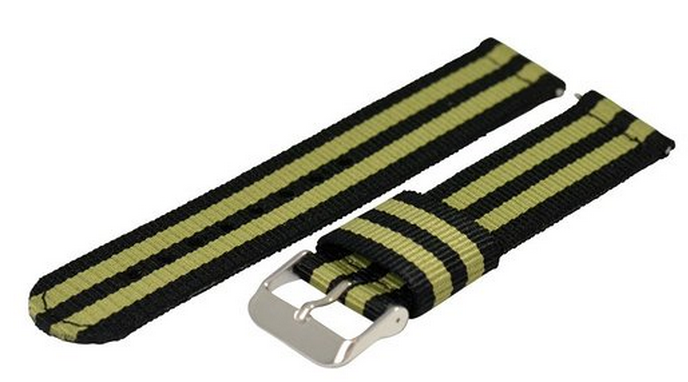 It's available in Black, Blue, Purple and Olive green. At $26, these are an excellent choice band because they are made for the Moto 360, they are simple and comfortable to wear and perfect for working out or running. 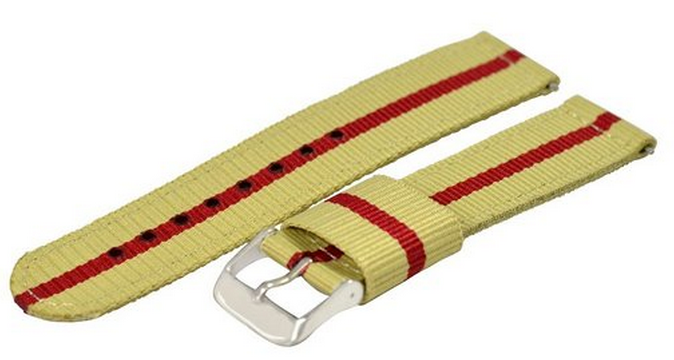 You can also get the matching color bumper, or even mix and match with all different colors. 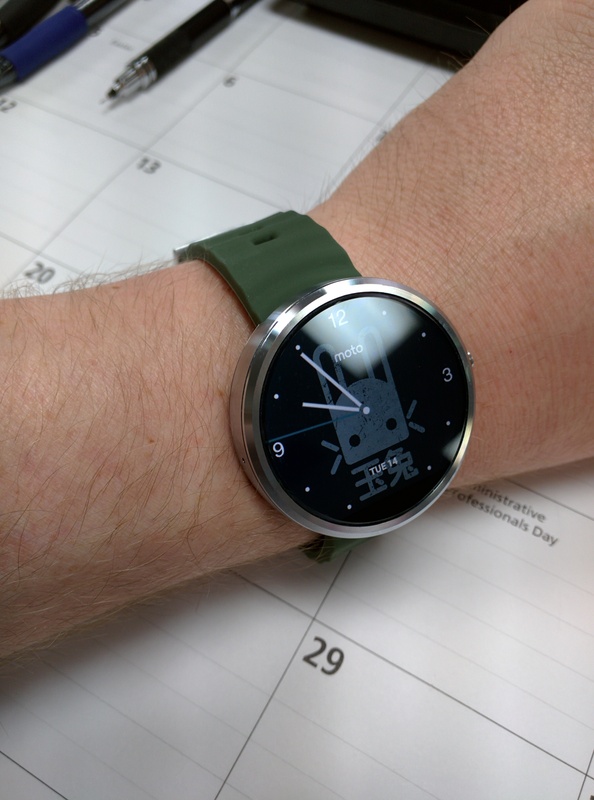 Here you can see a silver Moto 360 that's been covered with a SNUG Bumper and matching Black silicone band. This makes it ideal for running or ultimate protection. 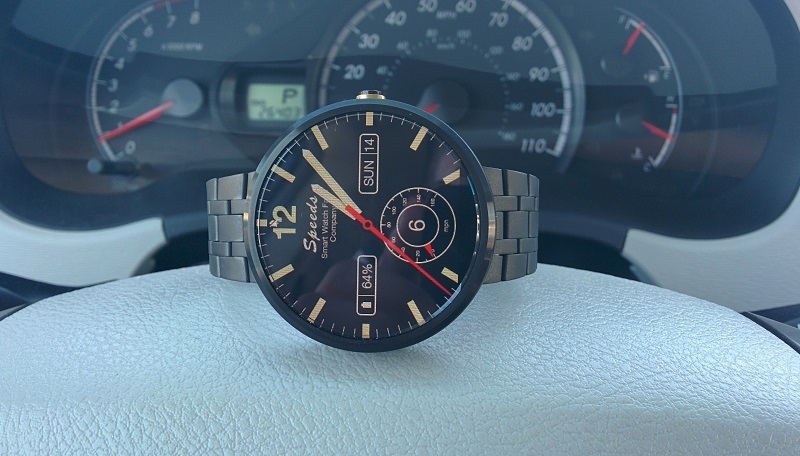 We like the way the black on black can really turn the watch into something different, even if you have Silver. The white SNUG band looks great as well, we think it makes a perfect band for girls and would look especially good with the Gold Moto 360! 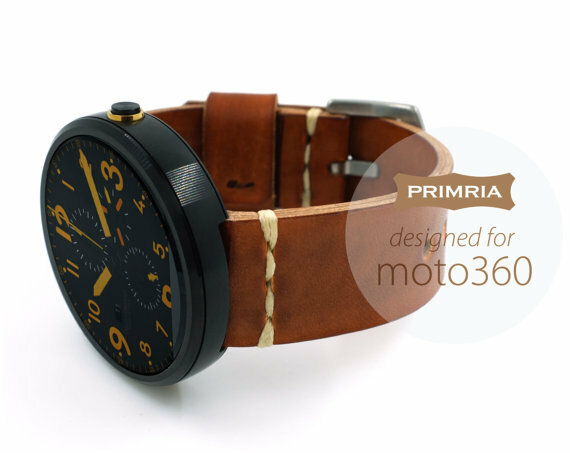 The PRIMRIA leather watchband is special designed for the Moto 360, giving a new premium feel to your watch. Each band is carefully hand-cut, and conditioned from highest quality full-grain, vegetable-tanned leather. The stitching is made by heavy duty waxed thread. While these bands might seem expensive they are very good quality, durable, feel great and will only look better over time. You can also customize the color stitching for each variation, which is a nice touch! 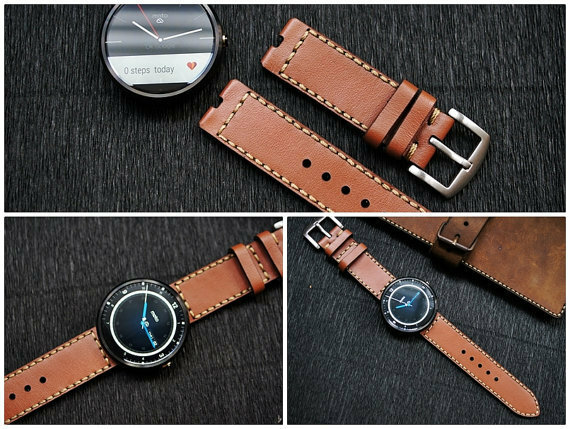 These watch bands are built specifically notched for proper fitment on the Moto 360 and hand crafted in house at a workshop in Brooklyn, NY. Each bands is hand cut, punched, skived, stitched, and assembled with great care and attention to detail. 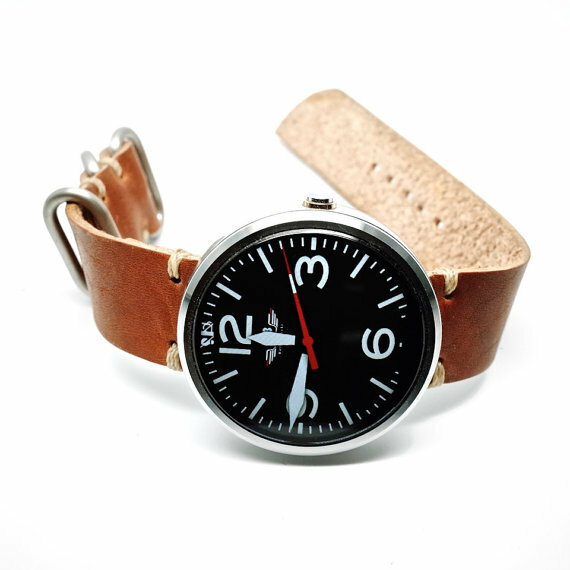 They are constructed from top quality Horween 5oz leather and stainless steel Zulu Hardware. 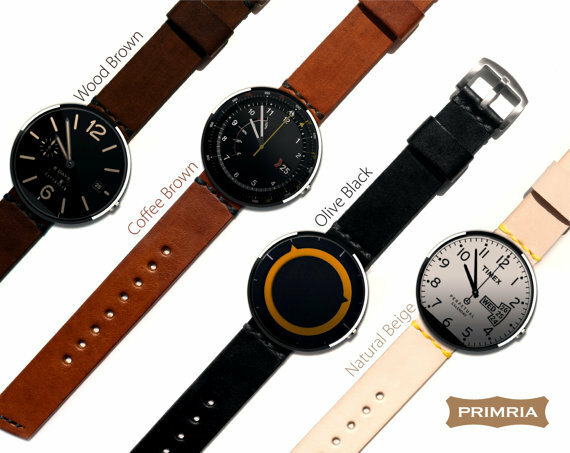 The bands are available in Black, Brown or Natural colors and you can also choose your buckle — Polished Stainless Steel, Brushed Stainless Steel Solid Brass, and Black are a vailable. 22mm Spring Bars are also included with the band. This is a nice handmade leather strap from Berlin, Germany. 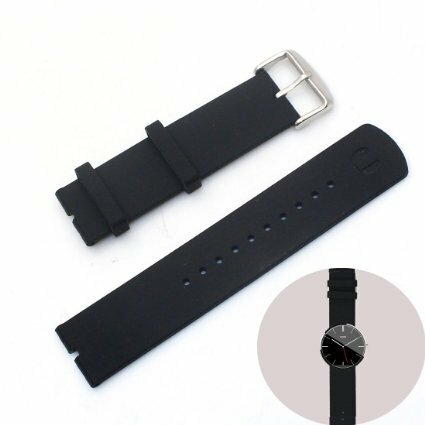 This strap has a nice minimalist stitched design and is made to fit the Moto 360 smartwatch. Made out of Vintage leather and designed specifically to fit the Moto 360 Smartwatch. 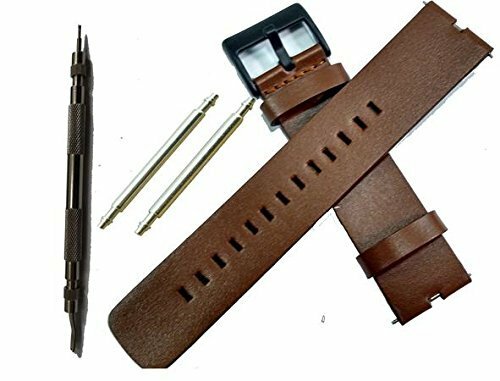 Each leather watch strap is custom made to order and they have 3 different lengths (Can also be custom made any size you want in 4 work days). Each hide takes the dye different so there might be some shade variations in the watch which makes it even more unique. This type of leather ages awesome over time! These DODO bands are also available on Motorola.com and are slightly more expensive at $59.95 each. 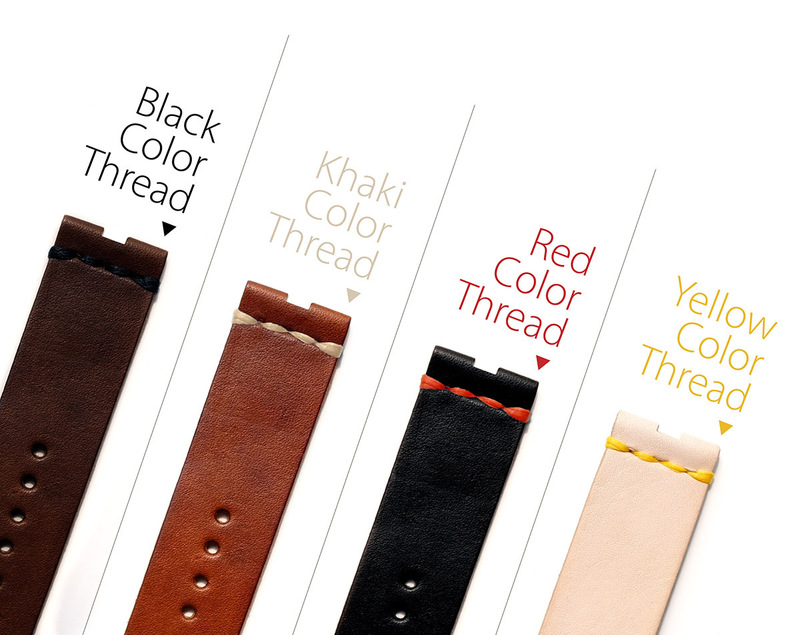 This is because they are handcrafted leather bands made in the USA in San Francisco. 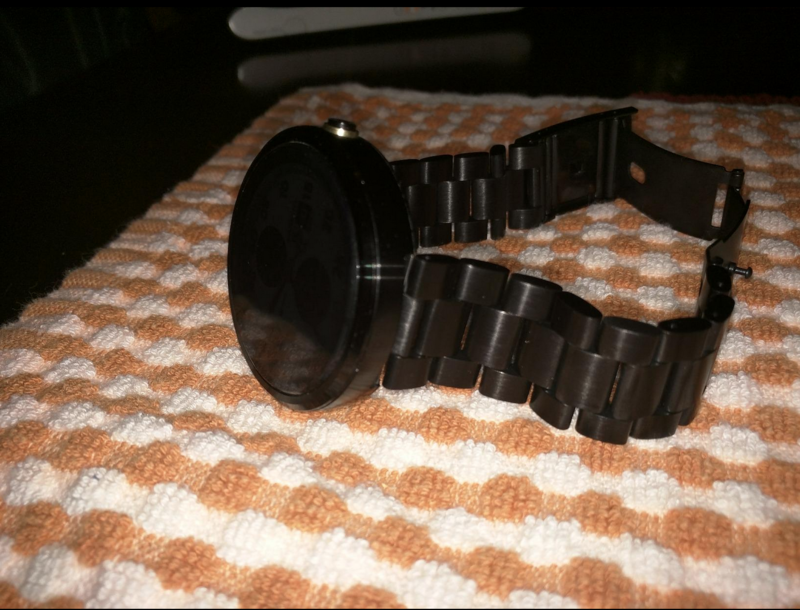 The band is lightweight and also features painted black sides which gives it a nice look. Surprisingly the watch even looks good with Nato style nylon straps. These ones are from Clockwork Synergy and you can buy them on Amazon. This mesh style band is available on Amazon and is available in 3 different colors - Silver, Black or Gold. 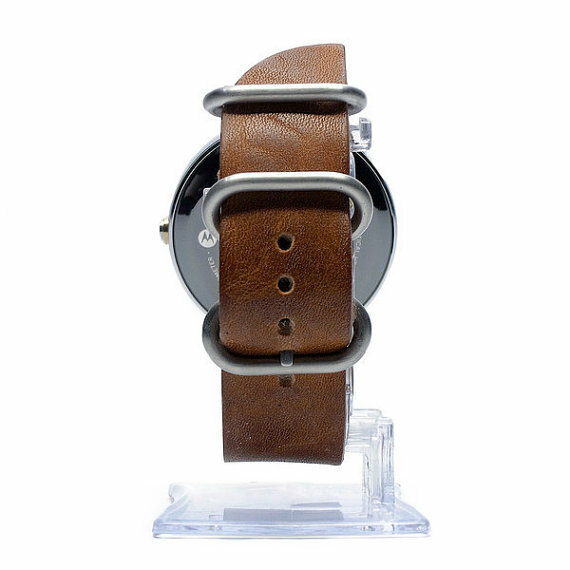 I also saw this brown leather band for their moto 360 from Best Buy looks really nice. Supposed to fit without modification. You can buy the strap at Best Buy. 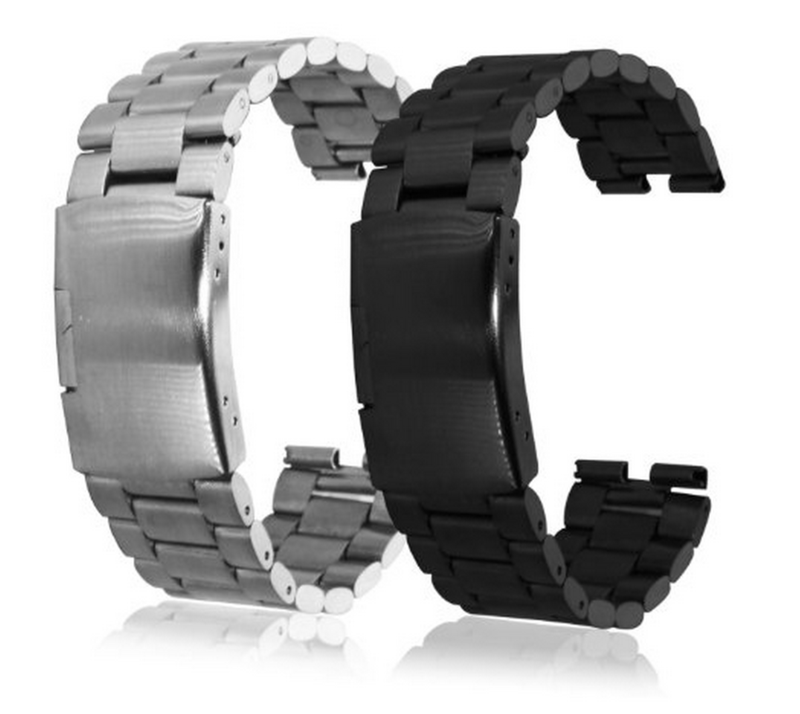 Replacement Band for Select Smart Watches, Read customer reviews and buy online at Best Buy. 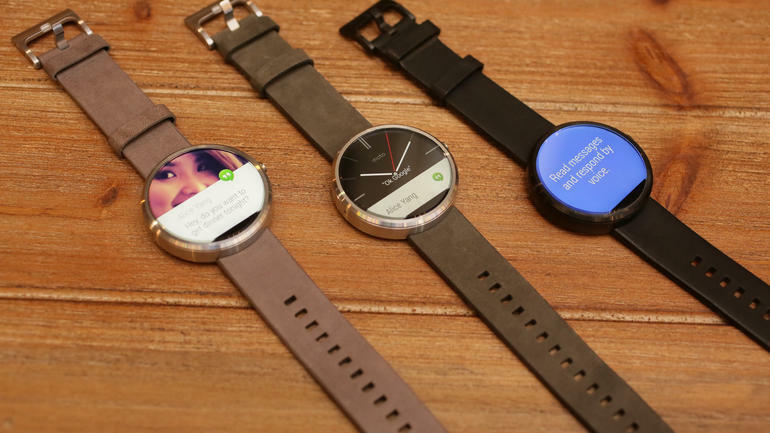 I think I will try this one since I bought a silver Moto 360, waiting for it to arrive! Wow. 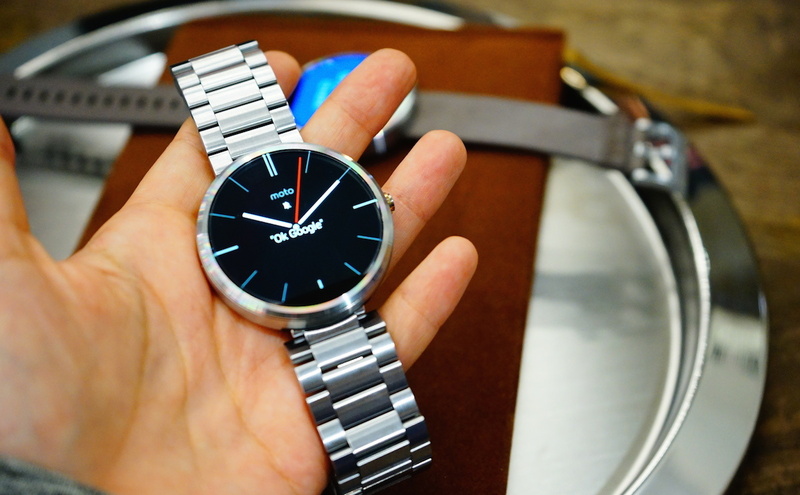 I was unaware of the bands that were compatible with the Moto 360. 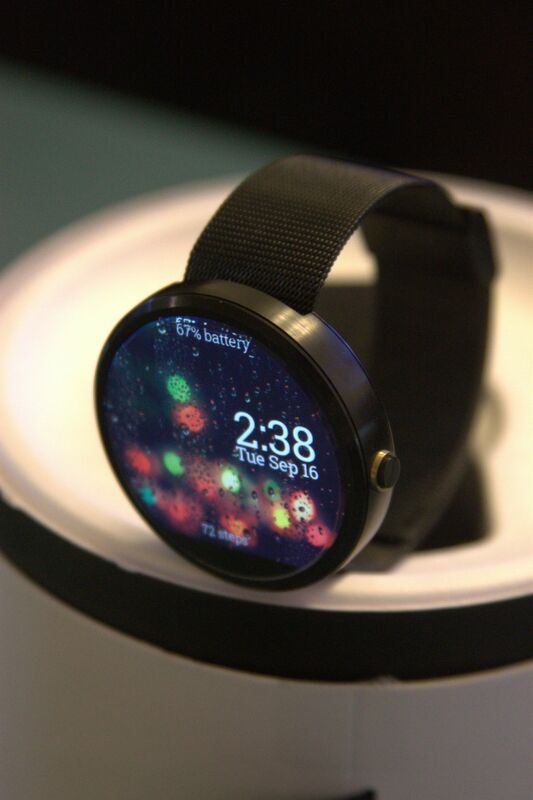 The one that looks most interesting to me is the Pebble Steel Band. Thanks again for the info. Are the metal bands available as of now, or will they be released in the future? 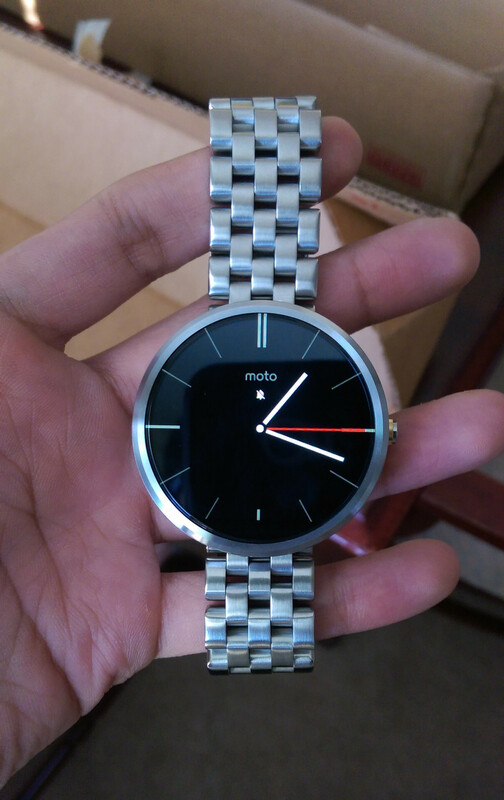 I have to admit that the Motorola OEM metal bands are about as stylish as you can get. My only problem is that my arm hairs get caught in metal bands. Anyone have a solution? not bad, the price wise it's acceptable... but i wonder how much would to shipping costs to ship to Malaysia? The official Motorola bands? The have something posted on their site that says "soon". I'm assuming they will be here just in time for the holidays. My only problem is that my arm hairs get caught in metal bands. Here's another one I found at Time after Time. I had to notch it with an Xacto, but other than that, it works great. It's also a good length for smaller wrists. The Amazon link is it, but I did not purchase from there. 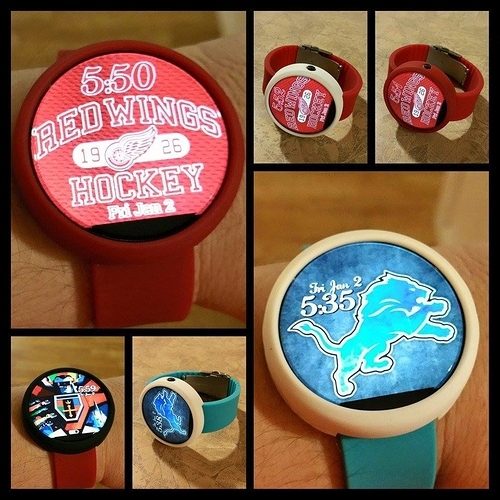 SnuGwatchbands just released some silicone bands in a 6 colors with matching protectors! get them on Amazon! The Pebble Steel Stainless Steel watch band is causing no issues for me. Check out these pics of our SnuG brand watchbands on a customers Moto360 in Michigan! We have them in simple Black or White as well as Purple, Blue, Green, and Red! Available on Amazon! 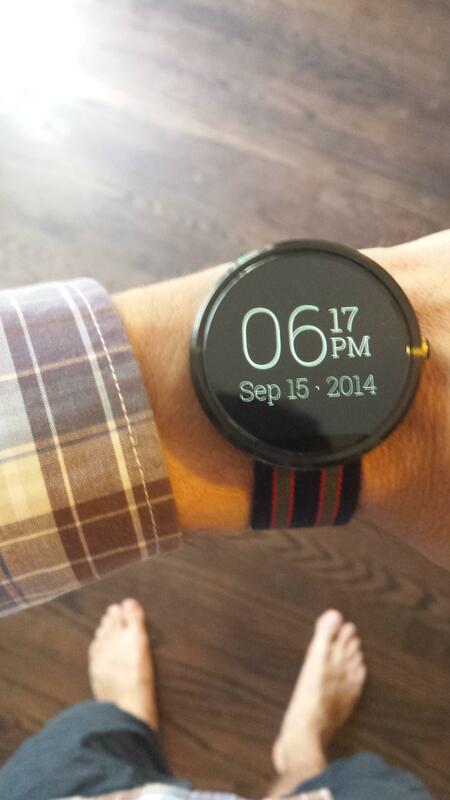 I got the Yutsoz Moto 360 Band I also show how to change the band here.